You are here: Home > Play > WHAT IS PLAY? Parents, carers, and most children’s services professionals will likely believe that play is important. They may not be able to explain why we value play but there is a feeling that, somehow, it is essential for full and rounded development. Indeed, the prevailing view in these societies about how children learn and develop emphasizes the need for babies and young children to play. Frequently play is defined as something that only children do, while work is something that only adults do. The exception to this, of course, is school work (homework, written assignments, and so on). This point of view is not universally shared, however. There are differing cross-cultural ideas of play. Is play unstructured exploration of the immediate environment? Does participating in a board game count as play? Does a baby’s exploration of a treasure basket count as play? Are children playing when they share rude jokes in the playground? Are children playing when they act out a scene from Roman life in a school assembly? Some activities that we define as play appear to be intrinsically motivated – the child just wanted to do it, perhaps just for the fun of it. Others seem to be extrinsically motivated – “I wanted to show them that I could do it too!” Some activities are competitive. Some are co-operative. We carry out some play activities on our own, others we conduct as part of a group. Certain activities that we call play follow proscribed rules, others seem to revel in rule-breaking. Some are skill-based, others are simply games of chance. The variety and variability of activities that we would define as play mean that there is no universally accepted definition of play. A quick review of some of the literature on play, threw up the following categories. This listing approach is not a very satisfying way of describing play. It is not clear if all children, of all ages, will engage in each type of listed play, for example. However, certain categories are routinely utilized by professionals. Speech therapists frequently highlight symbolic play as important for language development and speech development. Symbolic play is play in which a child substitutes one object for another. That is to say, one item is used to represent another item. For example, the child may sing into a hairbrush, using the hairbrush to represent a microphone. This demonstrates an ability to hold a mental image of an object (in this case, a microphone) and recreate the image using a different object that is available to the child. Symbolic play typically emerges from 12 months onwards. It has been linked to emotional development, problem solving and creative abilities (Hack, 1990). As speech and language are both representational systems that use symbols (speech sounds and words) to create meaning, the development of symbolic play is of particular concern to speech therapists. 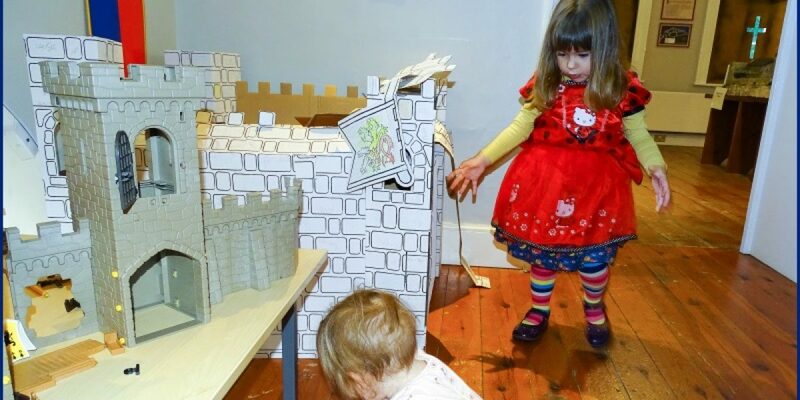 Imaginative play is play in which the rules which govern the physical world are suspended – they are not applied. For example, a child may move erratically around a room imagining themselves to be a snowflake, or they may pretend to feed a (non-existent) baby using an imaginary spoon. 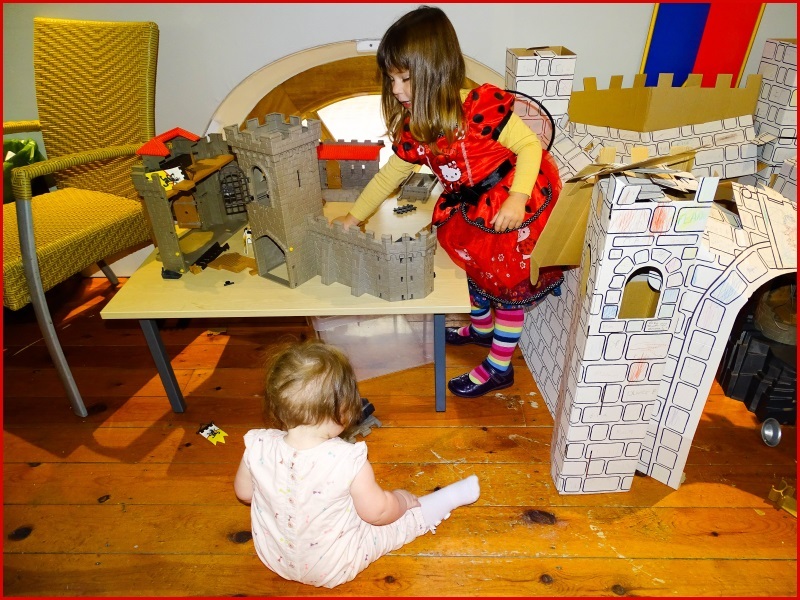 Imaginative play is thought to be a marker of cognitive development. In particular it is thought to develop so-called executive function, i.e. the child’s ability to regulate their own behavior. Executive function is an important skill for resisting impulses, managing emotions and self-discipline. sense of their discoveries within play. Of additional concern to a speech therapist in relation to this is guided play. It is noticeable, however, that this definition excludes extrinsically motivated activities. Owing to the often ambiguous nature and variety of activities that we call play, the definition of play remains elusive. This need not be problematic, however. Perhaps all that is required is that parents, carers and children’s services professionals are clear about why we value play and, through repeatedly observing play, come to some understanding of what play means to children. This, together with an understanding of some of the published benefits of play, should build an awareness of what it means to play. Dobson, F. (2004) Getting Serious About Play London: Department for Culture, Media and Sport. Hack, K.J. (1990) ‘Symbolic play and its relationship to toddler temperament, organizational functioning, parent attitude and play style’ ETD Collection for Pace University. Paper AAI9109385. [WWW] http://digitalcommons.pace.edu/dissertations/AAI9109385 Accessed 31 December 2015. NPFA (2000) Best Play: What Play Provision Should do for Children London: National Playing Fields Association. Do Children Need to Play?